Irish Communication Company performed an installation of campus wide fiber optic backbone system consisting of 62.5/125 Multimode and 8.3/125 Singlemode cable. Cable was installed for outside plant and riser applications throughout thirty-four buildings on campus. 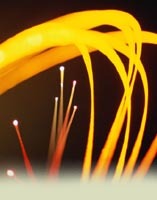 Fiber optic strand counts varied from 24-288-strands with multiple fusion splice points in the underground system. The initial contract also consisted of new horizontal Category 5e cable within thirty buildings on campus. Category 5e was installed for voice and data applications and was terminated on patch panels, at each closet location. Many outlet locations required the installation new raceway systems. A two-channel main run system with branch runs to individual outlets has been installed. Irish also furnished and installed the electrical outlets and branch circuits within the raceway systems for AC power. 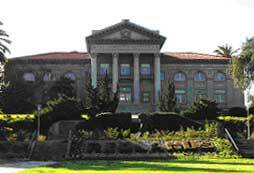 Irish continues to be the vendor of choice for the University of Redlands. We currently perform all cabling work for the campus, which includes adding and maintaining cable for Voice, Data, CATV and Wireless LAN Systems. The campus is certified by AVAYA and holds a 25-year warranty for all labor and material through the SYSTIMAX program. Irish Communication Company performs all cabling and PBX maintenance and installation work for the IRS throughout the State of California. We have successfully completed installations at facilities from El Centro to Sacramento using 100% Irish employees, staffed from our four California offices. Projects range from new installations of multiple story buildings to remote office installations. All projects utilize Category 5e cable for voice and data applications. Larger projects include fiber optic and copper backbone cable, as well as PBX systems installation/upgrade. At the Chet Holifield Federal Building in Laguna Niguel, where the IRS occupies multiple floors, Irish has installed large copper and fiber backbone systems throughout the 950,000 square foot facility. The fiber optic backbone consists of 62.5/125 Multimode cable and the voice backbone consists of multi-pair voice grade cable. The IRS’s communication system is serviced through multiple IDF closets on each floor, which are inter-connected by cable installed in conduit and cable tray systems. Technicians from our San Marcos office have worked at many of the IRS facilities including San Marcos, San Diego, Laguna Niguel, Santa Ana and El Centro.